If you’re anything like us, then you love getting your inspiration from Pinterest. 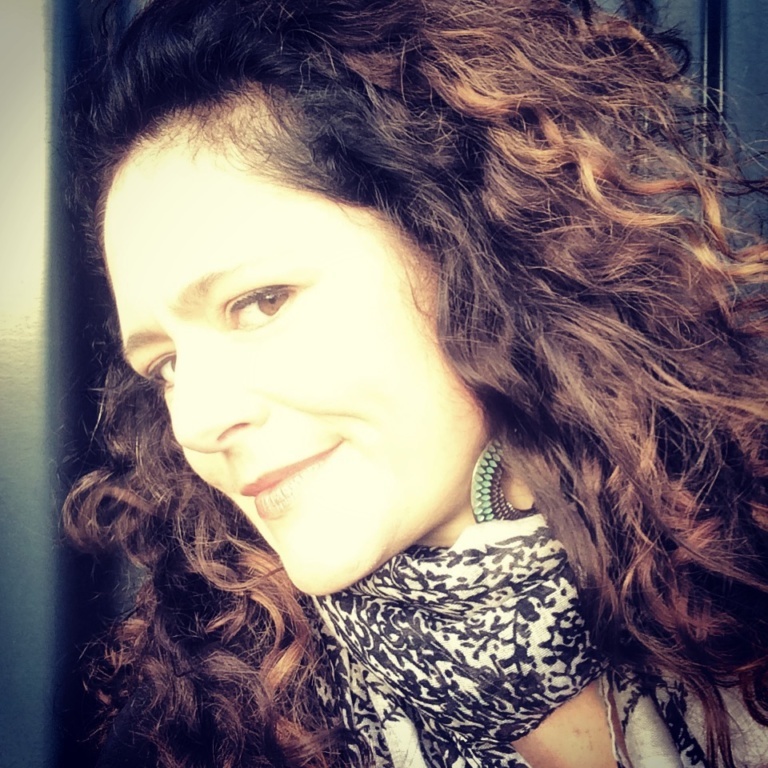 It’s such a lovely inspiration to see visual feeds that are easy to see and save. So, lately we have been looking for study room designs. 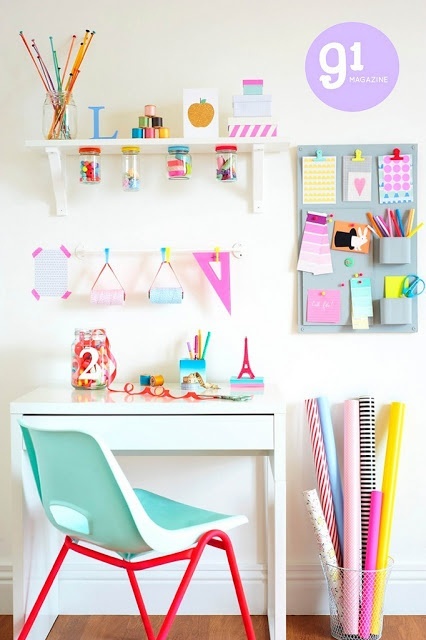 Do you need some inspiration for your child’s study room? Here are our favourites from Pinterest. Soft colours go a long way towards creating happiness. Try combining several different shades that are soft on the eye. Don’t worry pastels don’t clash. B&W study areas go a long way towards creating a stimulating environment without easily overpowering the eye. White walls and furniture will create the perfect backdrop for black accents. try not to overdo the black. Cement washed walls create a textured background that screams for bright colour pops. You can easily look for old finds and combine them some new items or even repaint them in shiny gloss enamels to create the perfect industrial look. Sometimes our heads can be just too busy. 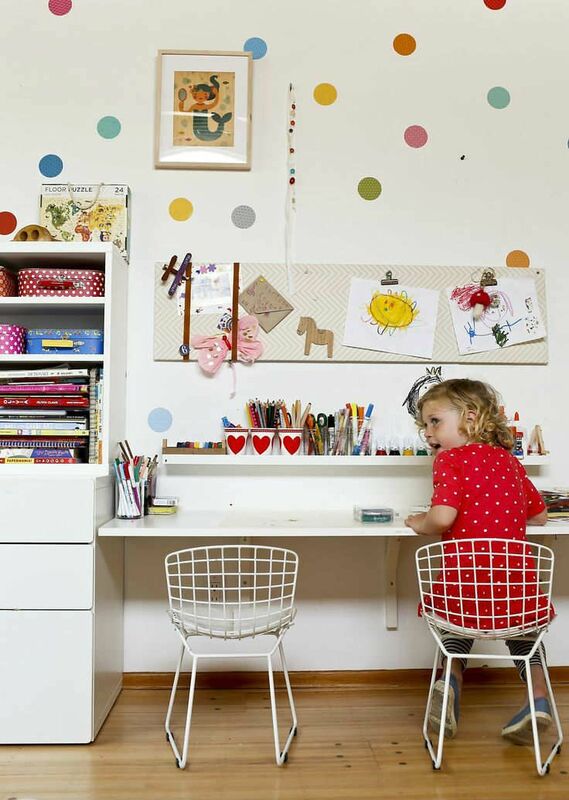 Help your kids quieten down by going for a minimalist study area. 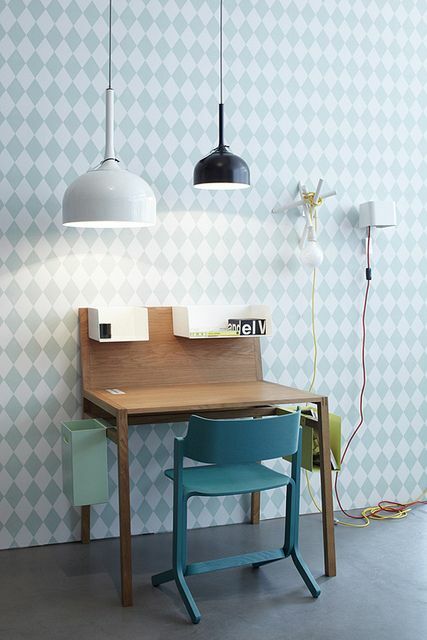 Choose a solid wood desk, add some lighting and an interesting chair and there you have it! There’s something about neon that makes absolutely everyone beam. Whether you grew up in the 80’s or recently fell in love with neon, this is a sure fire way to get those inspirational juices flowing in your kids study space. Like the desk pictured here? Check out our desks. What mom or dad wouldn’t love to make a special space for their kids? 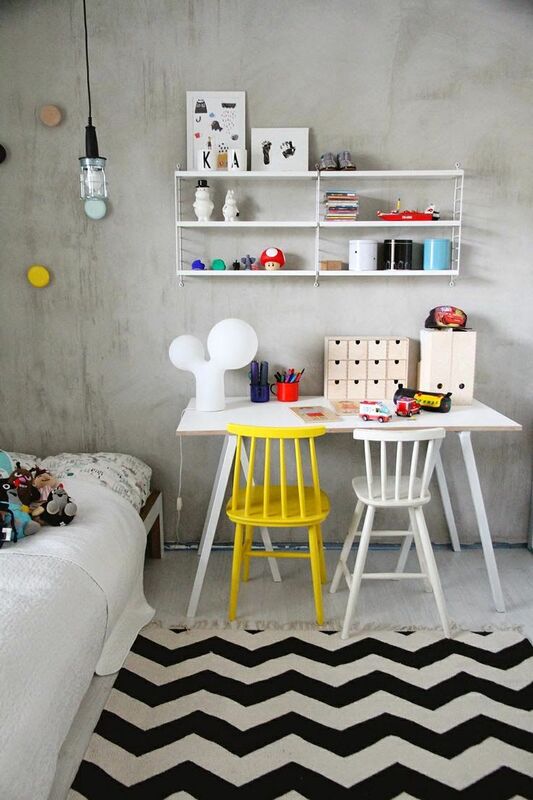 What kid would not love a wooden-box-on-the-wall desk such as this? Try experimenting with different shapes or even add a splash of colour. Pine planks are easily bought at the hardware store and can be cut to size for you. All you need is a bit of planning and some commitment to screw into that wall. There’s something to be said for those ugly office desk dividers that have been spotted at large companies with many employees. Well, kids also need some peace and quiet from the family life if they are to concentrate on their work. Why not try this idea? If your kids bedroom is tight then the study bunkbed is the way to go. There are many different styles on the market or you can view some here. 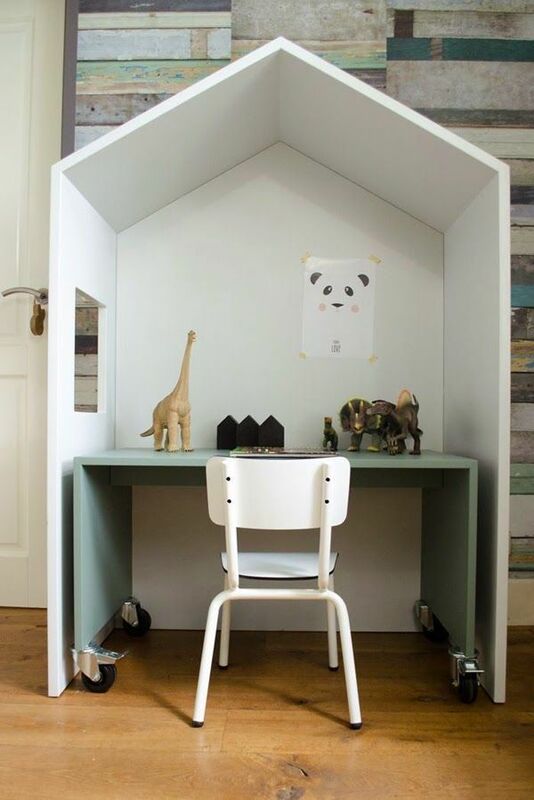 If you aren’t in the market for a bunkbed, then a fold-away desk could be just the thing for you. Ask your local cabinetmaker to design and build one for you. We just love the rounded corners of this one. Create a cut little nook in your child’s bedrooms by mounting a floating shelf or stacking a board on top of two pedestals. No energy for the above? 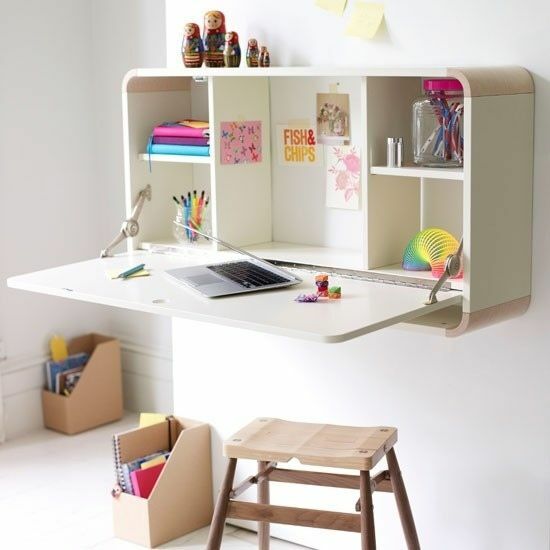 Check out cleverlittlemonkey.co.za for more ready made desks.